Girl Scouts at St Pius X is an active ministry supported by Safe Environment cleared volunteers (parents of scout). The Girl Scout Mission at SPX is to uphold the Girl Scout Promise and Law in our Catholic faith community by promoting programs and spiritual development for our young girls to build the courage, confidence and character needed to make the world a better place. Our minister of scouts will assist you in forming and nurturing a troop. Current, there are two troops at SPX, a third grade Brownie troop and a fifth grade Junior troop. 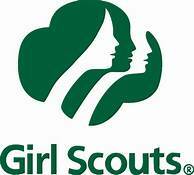 The third grade Brownie troop meets every FIRST and THIRD Tuesday in the Scout Room until 4:30. The fifth grade Junior troop meets every SECOND and FOURTH Tuesday until 4:30/4:45.